Many studies have been appointed to researching the “Whys.” Yes, there are many factors that play a part such as environment, social impacts, genetics and self-esteem for example. This is one of most obvious reasons why Drug Rehab Institute takes a more in-depth look at the contributing factors of the overall addiction. Addiction has not only dictated how the addict thinks, feels and perceives situations; it literally shapes the world they live in. When we look at the progression of drug abuse from “a” to “b” for example; recreational to the social stage, we can see that the road is built with reasonably basic intentions; pleasure, acceptance, reducing stress, increase social activities and so on. This builds a belief system that “using” works, making it appear that we have things under control and nothing to really worry about. When we start to mix this belief system with outside factors, genetics, social impacts, tolerance levels, ignorance and addictive properties we begin to see how this can become a very dangerous runaway-train. Unfortunately, as you move further down the progression of addiction to the chronic stage or habitual stage, you’ll start to see the shift from benefits to consequences. Amazingly; as the consequences become more regular so do the reasons for using the drink or the drugs! This becomes the famous stage where the act is play to a mastery level. The blanket of denial at this point has been long covering the true nature of dysfunctions. 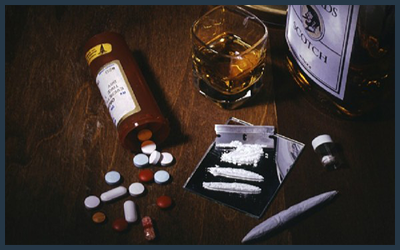 We can start to see the direct challenges the addict faces with coming to realize the real grips of drug abuse. Addiction up until this point has had its fun rewards and benefits, however; now is starting to turn its ugly head and ask for commitment sometimes to the death. Drug Rehab Institute take all aspects (mind, physical, mental and spiritual) of the individual into consideration. We believe a significant undertaking needs to take place for the person to have a chance at addressing his addiction. Education, exercise, counselling, wonderful cosmetic treatment centres with Olympic lap pools are not enough. Our point is that most people really don’t know what to look for when shopping for a treatment centre and usually fall pray on going for the “treatment adventure.” It’s not enough to have a counsellor sit across from a large group and just deliver educational resources or have spa activities fill the day. Drug Rehab Institute can help you find a drug rehab center that will always provide you excellent service, where you always have access to the staff, not just on scheduled times once a week or every two weeks. A treatment facility that has a great staff per clients ratio, small intimate groups sizes, one on one counselling, dedicated counsellors, addiction specialist, certified facilitators, addiction support workers, screened clients that want to be in service, clinical assessments tailored to the individual and much more.